Dr. Robin J. Burks is an esteemed clinical psychologist who resides in Houston, Texas with her husband and they have twins in college. She is a talented and dedicated therapist and inspirational consultant and has been in private practice for over 25 years.Dr. Burks received her Ph.D. from Bowling Green State University in Bowling Green, Ohio and completed her Internship at Baylor College of Medicine in Houston, Texas. Dr. Burks has been actively involved in local and national service initiatives. She is past President of the Houston Psychological Association (HPA). She has twice been awarded the “Psychologist of the Year” by the Houston Psychological Association. Most recently the award was for her dedication to the Houston Psychological Association and the prior award was for co-chairing a national conference and local initiative on violence prevention. She also received the “President’s Award” from the 2014-2015 HPA President. Dr. Burks is an avid runner and continues to motivate and inspire educators, clients, colleagues, and friends to live their lives more fully. 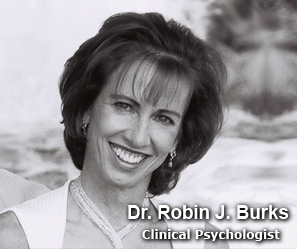 Dr. Robin J Burks, PHD is a Psychologist primarily located in Houston, TX, with another office in Houston, TX. Her specialties include Psychology. She speaks English.